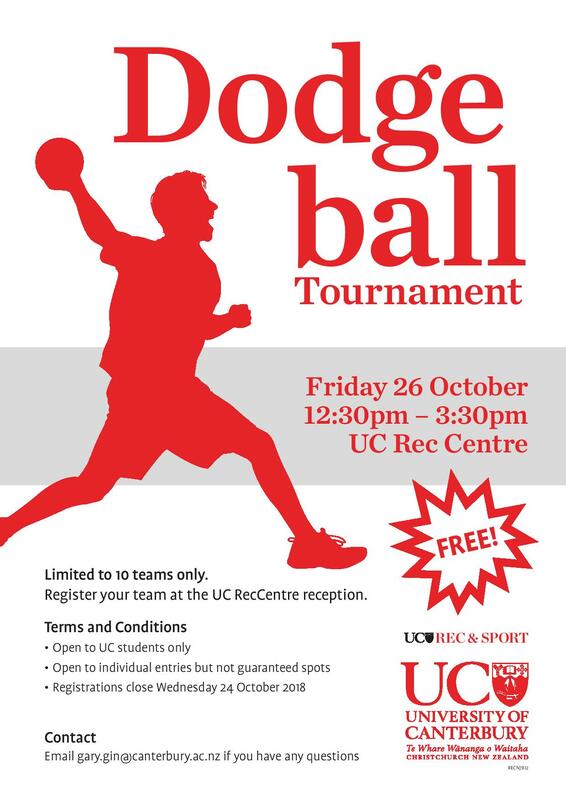 Enter the UC RecCentre’s one day dodgeball tournament on Friday 26 October. This is a free event for all UC students to get a last minute study break stress release with flatmates, friends, strangers, or anyone who can throw a dodgeball. Pick up your registration form at the Rec Centre, enter your team, and be ready to play!